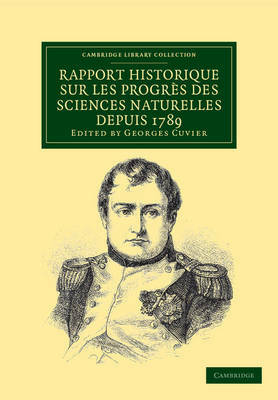 In 1808, Napoleon I, Emperor of the French from 1804 to 1815, commissioned a series of official reports on the progress of scientific research since 1789. First published in 1810, this report on the current state of science was written by French naturalist and zoologist Georges Cuvier (1769-1832). One of the first scientists to establish the fields of comparative anatomy and palaeontology, Cuvier became permanent secretary of the Academy of Sciences in 1803. As such, he was charged with examining the state of science in higher educational establishments, and with presenting an overview of the progress accomplished during Napoleon's reign in the fields of chemistry, physics, biology, geology, and medicine. This report includes discoveries made by French scientists, such as the chemist Antoine Lavoisier (1743-94), as well as those made in the countries then under French occupation.